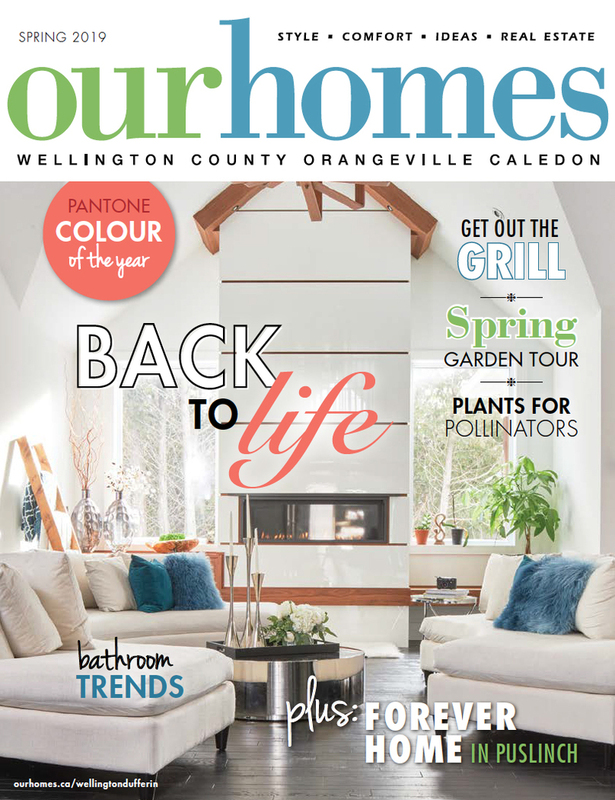 A version of this article originally appeared in the Spring 2019 issue of OUR HOMES Wellington County, Orangeville, Caledon, p.62. 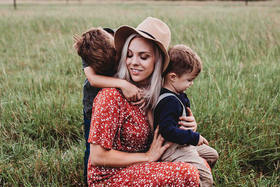 Find local businesses in our Wellington directory. 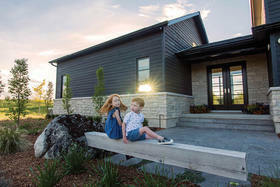 Jason Fabbian, owner of Gemini Homes in Guelph, purchased several lots in the Heritage Lake Estates site in Puslinch several years ago. There was one special spot on the lake that called to him and he knew then that he would build his own home there one day. 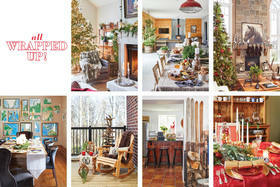 Personal touches are infused throughout the home. To the left of the entry is the parlour, Jason’s favoured evening retreat, where he can enjoy a cigar or a taste of Scotch. 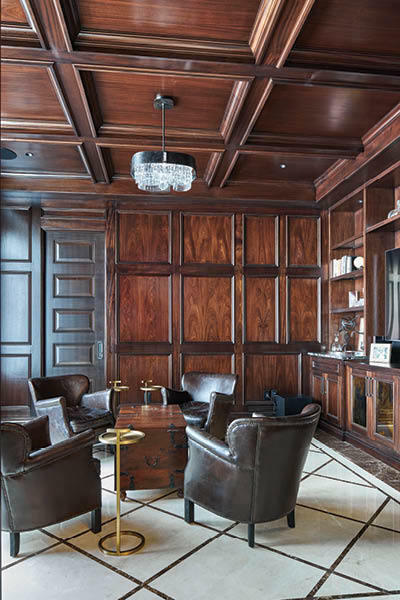 Custom mahogany millwork in both the parlour and office was stained on site by Sunridge Painting. A Crema Marfil marble floor in the foyer was polished on site by Ceramic Decor. In the great room, the warmth of the wood firre makes it a cosy spot to play with children and entertain friends. 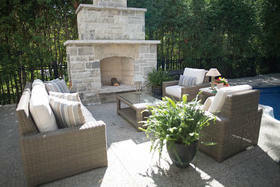 Station Earth Total Home Technologies integrated the home technology during the planning phase of construction. One of the mirrors flanking the fireplace disguises a television. 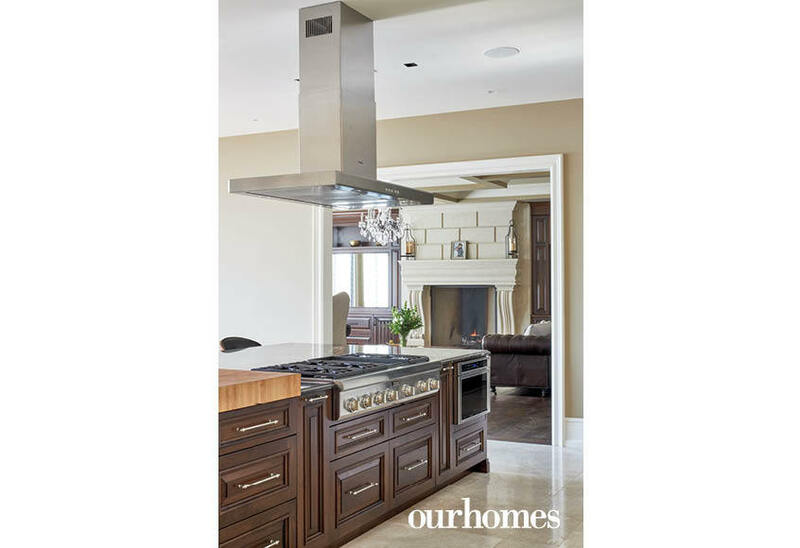 In the kitchen, French country cabinetry, painted a warm mocha, provides ample storage for cookware and dishes. 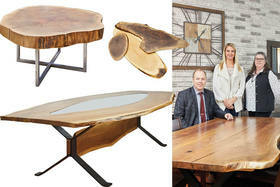 The island is finished in walnut with an end grain butcher block top. 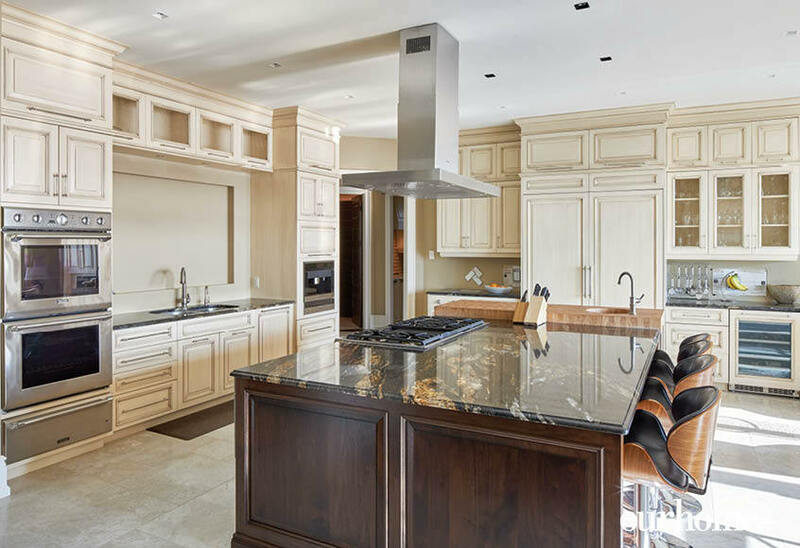 The periphery counters are granite, speckled with titanium, sourced at Graniteworx. The master bedroom feels like a suite in a grand hotel. The elegant king-size bed could be looking out onto any European vista. The master en suite is the star with bath fittings from The Ensuite. Tile from Ceramic Decor, dark grey with a bronze and metallic accent, grounds the space. Glamorous his-and-hers walk-in closets complete the suite. Special cabinetry was designed with glass-fronted doors to showcase Jason's wife Taunya's wedding dress. 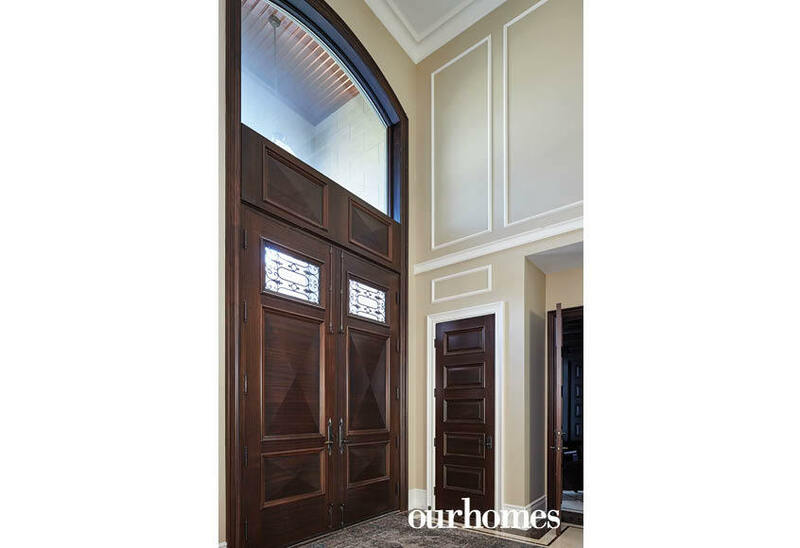 The grand mahogany front door was custom-crafted to reflect a Roman honeymoon memory. Jason Fabbian of Gemini Homes relaxes in his favourite chair in the parlour. Reminiscent of the Victorian era, the formal parlour is located off the main foyer. 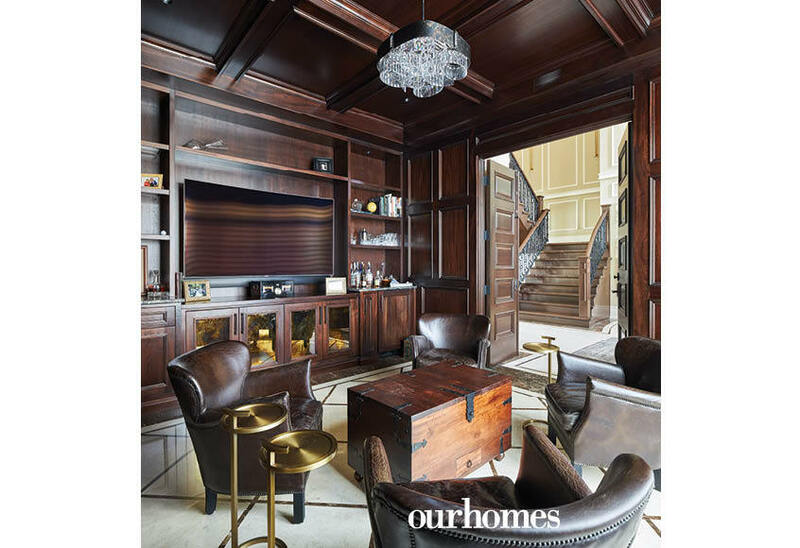 The room is encased in mahogany and grounded with an intricate inlay marble floor. 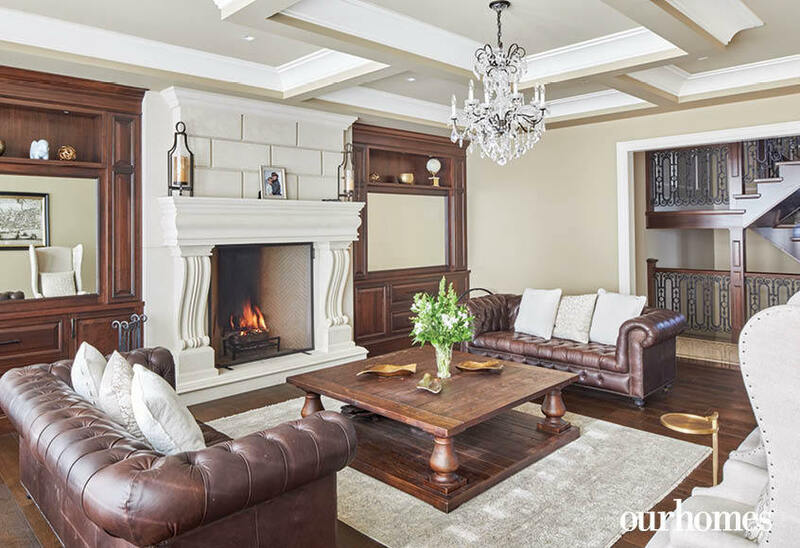 A traditional wood-burning fireplace is the focal point in the living room. 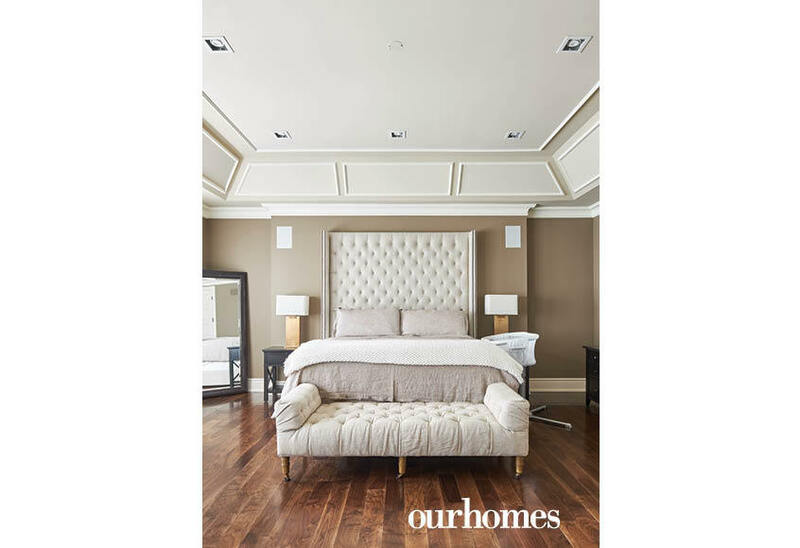 Use of half-tone accents in the painted coffered ceilings adds definition and warmth. 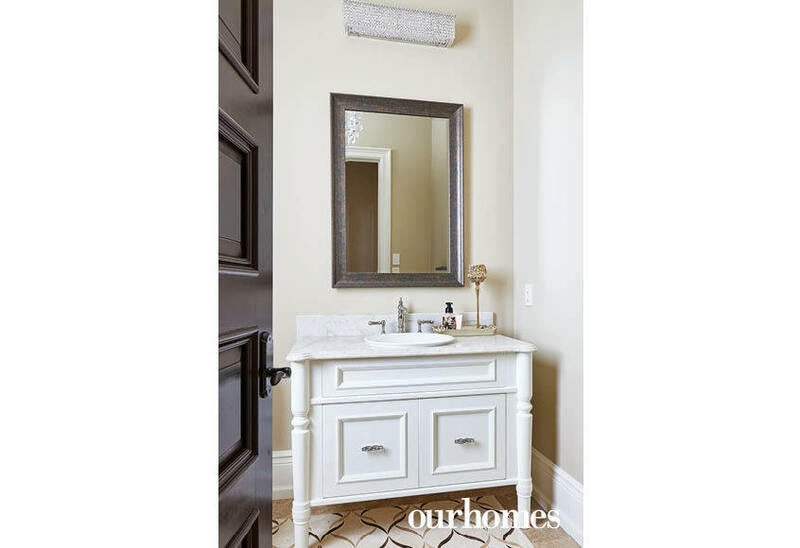 One of two main-floor powder rooms – this one with feminine accents for her. A bespoke mural, perhaps crafted in tile, is planned for the space over the sink. In keeping with traditional style, rooms are defined and separate. Floor coverings change, but with a flowing transition. 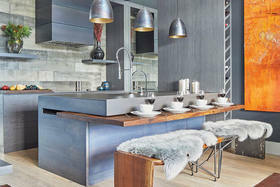 The kitchen was designed with several cosy seating areas – a theme that carries throughout the home. 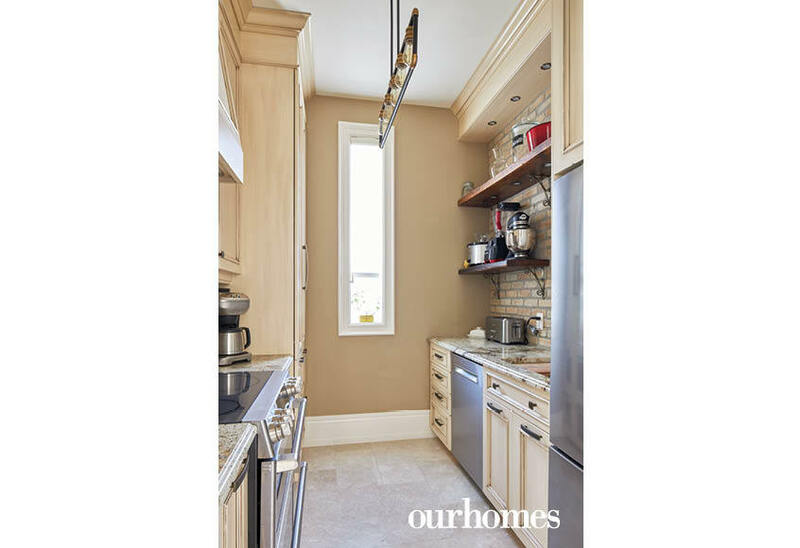 A transom window, originally planned for the master bedroom, was repurposed and turned on end in the servery. It highlights the warmth of the brick walls in the small space. 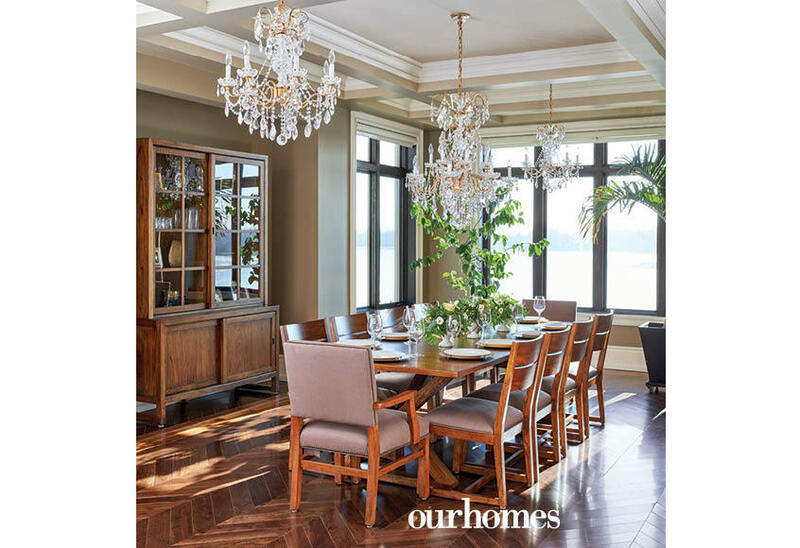 Elegant chevron-patterned walnut hardwood flooring sets the tone in the formal dining room, where the family has a view of the lake. 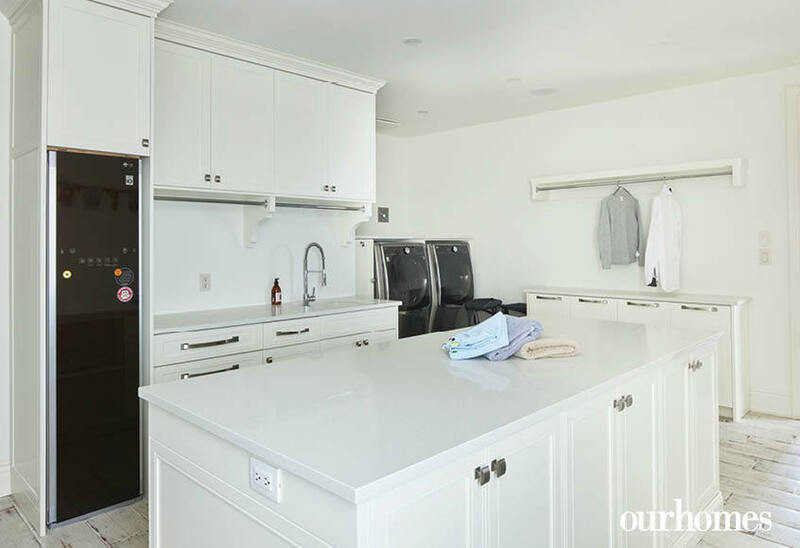 A large laundry room has a white island and plenty of storage. A craft room with creative herringbone floor has lots of storage for supplies and a stylish tile floor for easy cleanup. Lighting plays a major role in setting the mood in this hotel-like master bedroom, with custom-made pot lights in the ceiling, beautiful table lamps for reading, and a special vanity light hidden in the mirror. 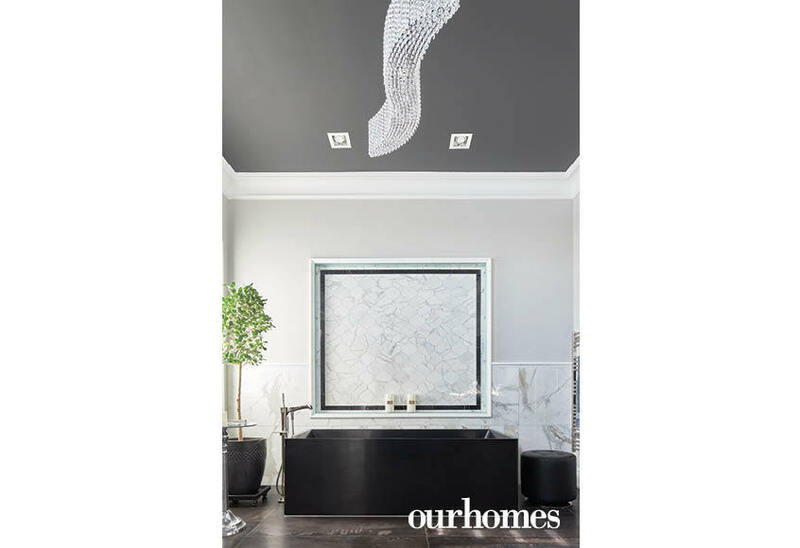 A show-stopping black stonecast tub by Blu Bathworks is a highlight of the master bedroom en suite. A luxurious, high tech shower in the master en suite has a dramatic and unexpected industrial look. 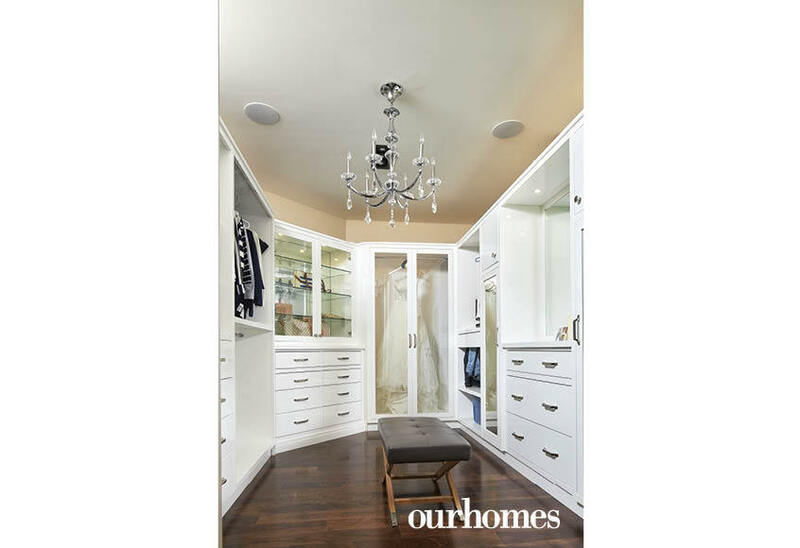 One of the master bedroom suite's walk-in closets includes special casing to display the owner's wedding gown. One of the master bedroom suite's two walk-in closets has shelves to display memorabilia. The owner loves having an espresso bar ready to go on busy mornings. A simple pair of paddles hangs beside son Jack’s name on his feature wall.